Posted by Cheryl on 6/18/2017 to Products and Sites I Love! Everyone who has followed my art for any period of time, knows I am a copic marker girl all the way. I love everything about them (except the price!) I have tried a lot of different alcohol based markers, and none of them really came close to my love of copics! Recently on a stroll through Michael's, I came across the line of "artist's loft" alcohol based markers. I thought to myself, oh boy, here we go again! Another one trying to make a cheaper version of my beloved markers! Well, I decided to give them a shot. I picked out a few colors and brought them home to try. I am pleased to say, in a pinch, and for a cheaper price, they are the closest I have to come to copics. They have a dual barrel, and the nibs feel very similar to copics. They appear to also be refillable, but I haven't seen any refill offered anywhere. They currently have 56 colors, and I am hoping they add more. 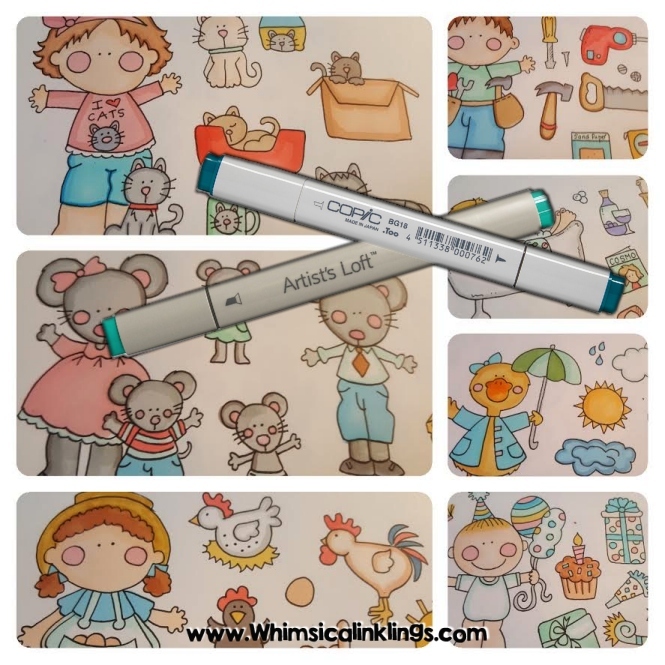 At a much smaller price of $3.99, and the fact that you can use coupons, makes them a great alternative for those that want to expand their marker collection without breaking the bank!